If you’re struggling to see results from your social media marketing, need advice for a launch, or simply want to learn more, let’s chat one on one. 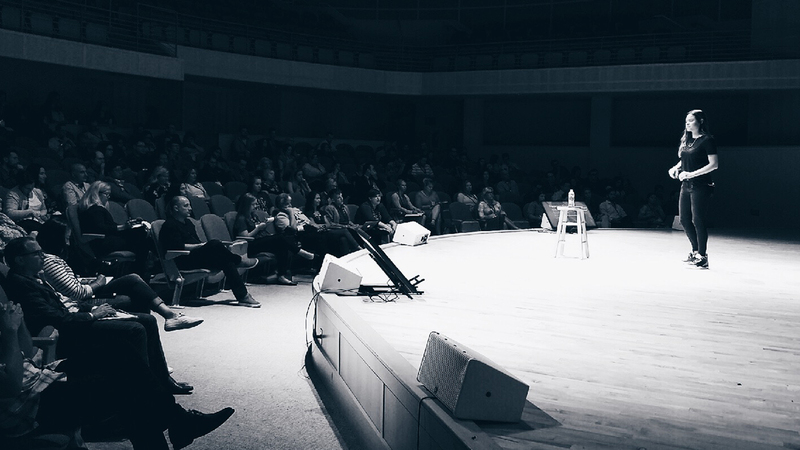 Below you’ll find a breakdown of my 1-1 coaching packages, as well as details about custom trainings and booking me to speak at your next event. My 7 years of social media experience are yours when you book a coaching session with me. I've worked with and consulted clients in both B2B and B2C industries, on projects big and small. No matter what your social media marketing dilema is, we can work together so you can get the most out of your efforts. You'll walk away with actionable steps customized to your business and needs. Dhariana brings energy, passion, vast knowledge and a refreshing strategic approach to social media marketing. Too many people jump into social media marketing without a real plan these days. Dhariana begins by defining clear marketing goals and then devises content strategies to find and reach your target audience for sustained results. Once you’ve fully booked our session I’ll follow up via email with a questionnaire to help me understand your industry, your business, and what your concerns are so we can make the most of the time we have. I’ll be throwing a lot of info at you – but fear not, as follow ups are included with your session. Each coaching session includes follow ups, and personalized resources. Walk away with an action plan full tips and strategies on how to grow online and monetize followers. I am test text for Image with text shortcode. → Content strategies and much more! Remember you’ll be able to ask questions, and I’ll be available for follow up questions via email after our session. Need a crash course on Twitter? Not sure how you can use Instagram for your business? No idea how to get people to interact at your upcoming event? Let’s figure it out together. Our first call we’ll get to know each other and the topic you need to dive into – then I’ll create a small training session based on your questions and needs. If one hour, or one topic aren’t enough, let me put together a completely custom training for you! This option is great if you need very in depth knowledge or have a team you’d like me to train. We can conduct the session remotely or, if you’re close enough we can hold the session live! The DhariLo Social Media Lounge Membership will take the guesswork out of improving your social media presence. Are you tired of trying to figure out what’s new in social media and how you can apply it to your social media strategy effectively and successfully? Exhausted from reading endless articles, sifting through Facebook Groups and wasting time trying to keep up with all the changes? Let me help you! As a social media consultant and agency owner I HAVE to stay on top of all the craziness that social media throws at you. And I have to sift through it all to figure out what works, what doesn’t, how things work and who’s doing it well! Now imagine having the resources, tools, and support you need to cultivate a social media presence that attracts real fans and customers. Without the guess work and trying to piece together tactics. I’m so excited to finally launch this program and really build on the concepts I talk about on my blog weekly. Join me for the in depth knowledge you need to truly thrive on social media.The DhariLo Social Media Lounge community doors are open! If you need a customized training sessions for a large group or your company let me know! I’ll create a custom presentations based on your needs and industry along with worksheets and access to the presentation materials after. I really enjoyed and learned a lot from your presentation at DOYO. Thank you for coming to speak to everyone! You were one of my favorite presenters. Thank you for your insight! I’m new into the industry and your presentation gave me some much needed reassurance that I am doing the right thing! Thank you! Thanks for sharing your insights at DOYO Live! I found them very informative and motivating!